On December 2, 1941, an Army private named Harold Grove Moss was a week away from finishing his Morse Code training to become a radio operator. He was stationed at Camp Roberts in California. “Something seemingly a little unusual happened yesterday and that was all the Japanese boys were taken out of our battery,” he wrote that day in a letter to his parents in Minatare, Neb. But he didn’t dwell on it; he also mentioned that a homemade cake they sent “wasn’t broken a bit,” and ended with a modest Christmas list, including “a camera” and a “pair of brown civilian shoes (no two tone).” Five days later, as news of the attack on Pearl Harbor was filtering through the ranks, he wrote again. 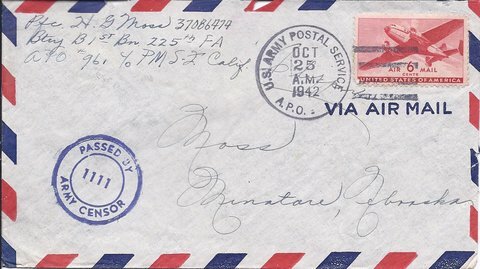 Much of his mail did reach its destination, and is now available to many more readers thanks to his daughter, Lori Neumann, who has transcribed and posted this and 340 more of his letters from the Pacific at mossletters.com. Alongside the letters are dozens of photos and other bits of wartime ephemera which made it back to the states — some in the letters, and some with Mr. Moss himself. 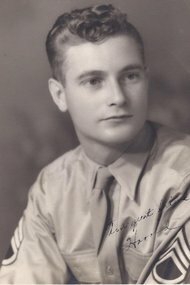 He began his tour as a University of Nebraska sophomore in September 1941 and saw action in the Philippines and in Okinawa as a member of the 225th Field Artillery Battalion; his service ended Nov. 1, 1945, a few months after the Japanese surrendered. 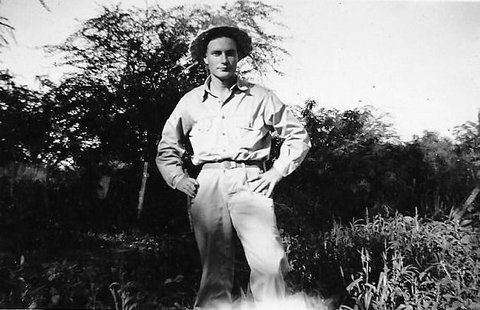 This now-public family archive is a vivid, personal account of Mr. Moss’s four years and two months of service in the Pacific, recording dramatic turning points alongside the day-in, day-out moments of a battalion waiting for something to happen. Ms. Neumann was thrilled to see a side of her father she had never known existed, a guy who loved to dance and studied law books in his spare time. The photos, also, give a sense of what his life overseas was like. They range from soldiers wearing leis or clowning by a pool in Hawaii, where Mr. Moss was stationed for a time; bombed-out buildings and corpses in the Philippines; life after the hostilities ended in Okinawa. The combination of family lore and world events made her feel a greater responsibility toward the material. Ms. Neumann first compiled the letters into a book for her father, with his help. The chapter introductions he wrote appear online as well, along with a few essays that recall some of his most harrowing war experiences, including his landing on the island of Mindoro, in the Philippines, as part of a secret mission to unload ammunition. Mr. Moss lived to see the book completed in 2003, but by then had the beginnings of Alzheimer’s disease and died of lung cancer in 2008. Ms. Neumann started the website this year with help from her son. Though some of the letters are typewritten, Ms. Neumann notes in the margins that she can tell when her father was writing under stress, because his even cursive got bigger and loopier. One such letter is to his brother Phil from April 15, 1945. “Right now I’m sitting in a foxhole in Okinawa,” he wrote. After the war, Mr. Moss went back to the University of Nebraska to finish his education under the G.I. Bill. It was there he also met his wife, Dorothy, a fellow student, and Ms. Neumann’s mother. He graduated in 1948 with a degree in journalism. Ms. Neumann said her father returned to Minatare and began working in his father’s store, selling furniture, gas and feed. He applied for and was offered a job at The Omaha World-Herald, but didn’t take it. “He felt he had to turn it down,” Ms. Neumann said. “He felt he had to help his dad,” and, she added, he was suffering from depression, something she also didn’t find out about until she was an adult. But although he never became the journalist he trained to be, the Mosses did travel, something Mr. Moss had also always wanted: he rejoined the Army in 1949, and spent 30 years as a chief warrant officer, with postings in France, Korea, Germany, Crete, as well as many stateside. In 1952 the family adopted their younger son from a German orphanage. Ms. Neumann, who is 68, and her husband live in a retirement community in Phoenix where the war feels closer than it might elsewhere. “We have some Rosie the Riveters here,” she said. She’s still at work scanning all of the original letters and adding them to the site, which she says is necessary because the originals, all more than seven decades old, won’t last much longer.